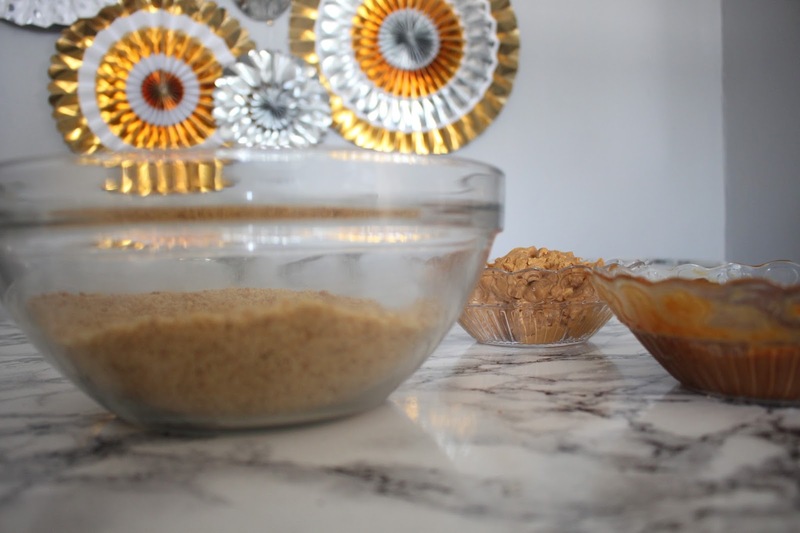 Okay, so here I am again helping out all the novice bakers out there. 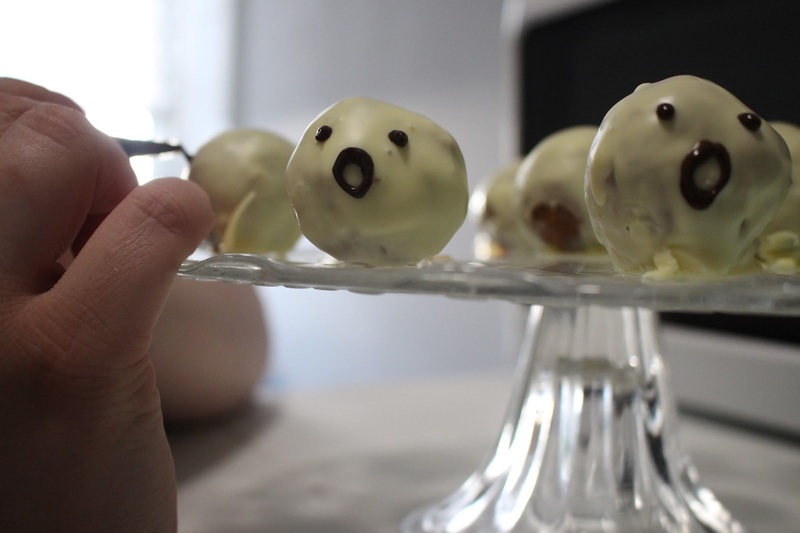 My Easter Traybake Recipe that I posted back in April went down really well and I wanted to offer you all something as easy and delicious for Halloween. 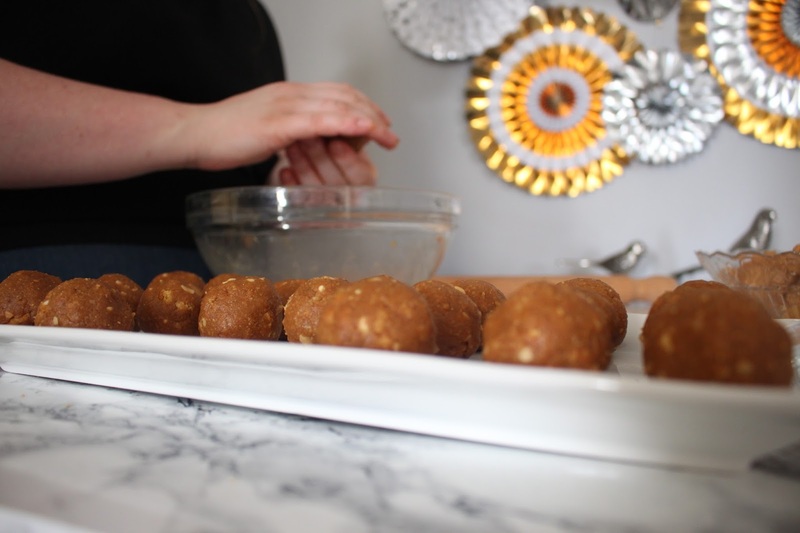 I met up with the lovely Rachel from Hooray Cakes who we interviewed for Sunday Chatroom early in the month and she showed me how to make these amazing truffles. 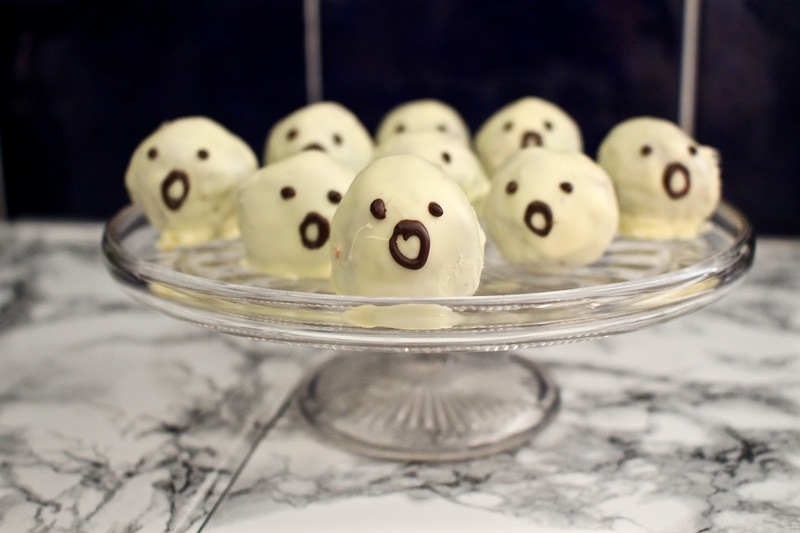 This recipe could not be easier, so if you are doing a little Halloween party or just want a themed treat to enjoy for the scary season then look no further. The recipe is super basic and takes no time to throw together, again please let us know if you decide to try these beauties out for yourself! 1. 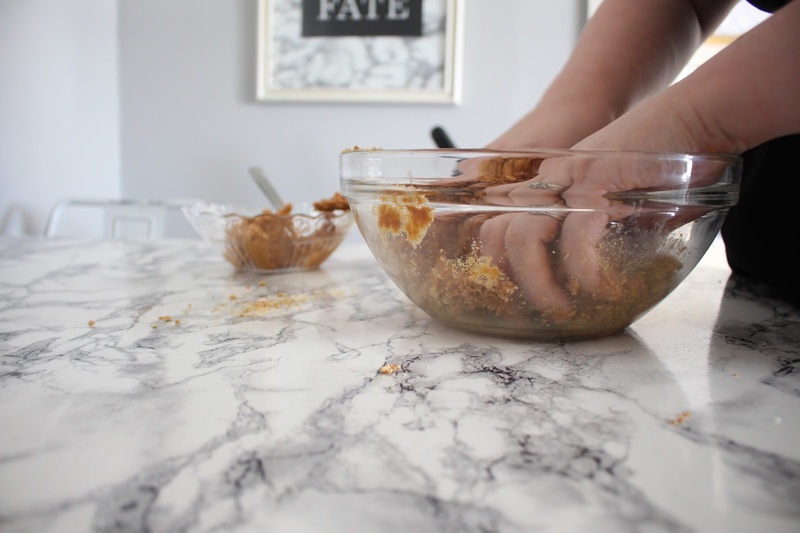 Mix biscuits, caramel and peanut butter. 5. 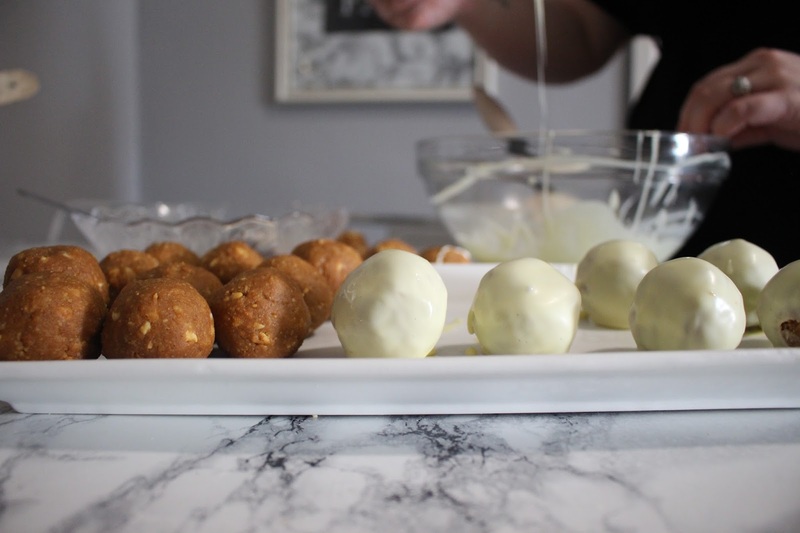 Dip each truffle in white chocolate and set aside. 6. Once set, melt dark chocolate and put into the piping bag. Snip the end of the piping bag off but keep the hole small as it's for fine detail. Pipe a little ghost face. Sunday Chatroom Rachel Wales - Hooray Cakes!